First of all, the alphabet. Alphabet is the first page of any language. In russian language there are 33 letters. 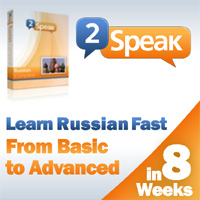 In russian alphabet there are 6 vowels letters and 10 vowels sounds. (In English vowels six letters). Below, I present a list of Russian characters and their English counterparts. This is “translit”. It is often used by Russian computer users in the event of errors associated with computer text code. Translit can help you to read russian text by the fact that there is a clear gender letters Russian language and the letters of the English language. Alphavit - eto pyervyj list ljubogo jazyka. V russkom jazykye 33 bukvy. V russkom jazykye 10 glasnykh bukv i 6 glasnykh zvukov. (V anglijskom jazykye 6 glasnykh bukv i 22 zvuka). Nizhye , ja privozhu spisok russkikh bukv i ikh anglijskikh analogov. Eto translit . On chasto ispol'zuyetsja russkimi pol'zovatyeljami komp'jutyera v sluchaye oshibok svjazannykh s kodirovokami tyeksta. Vam , translit , mozhyet pomogat' chitat' russkij tyekst, za schyot togo chto yest' chyotkoye ravyenstvo bukv russkogo jazyka i bukv anglijskogo jazyka. Naprimyer , phraza: Ja napisal soobshchyeniye v moyom blogye na tyemu translita. PS : next post I plan to devote introductory lectures about the country of russian language – about Russia, the Russian flag, figures and facts of this country.